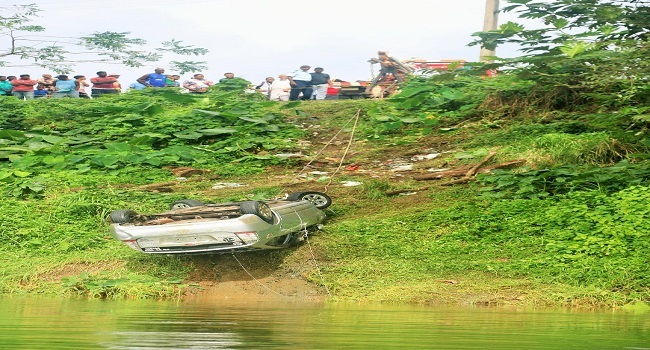 Divers from the Police Special Response Unit will continue to search the Rewa River as it’s still unclear as to how many people were in the vehicle that veered off the road along Kasavu in Nausori earlier today. The body of a 25-year-old man from Baulevu, Nausori was recovered earlier in the day and investigators are still gathering information to determine if the victim was traveling alone. Police says the visibility is quite low as officers are diving in a depth of up to 30 to 40 meters where they had located the vehicle which was pulled out from the river this afternoon. The search will continue as long as daylight permits and is likely to continue tomorrow morning.